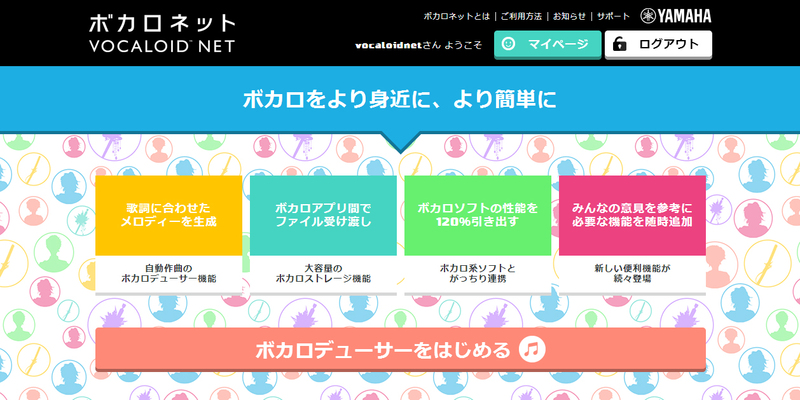 Yamaha has posted a new press release describing VOCALOID NET, their upcoming cloud platform. Launching in July, VOCALOID NET will be a members-only service aimed at aiding users with the creation of VOCALOID music. At launch, the platform will feature two services — VOCALODUCER, an automatic music generator service previously only available to commercial partners, and VOCALOSTORAGE, in-the-cloud storage allowing seamless transfer of song data between applications. 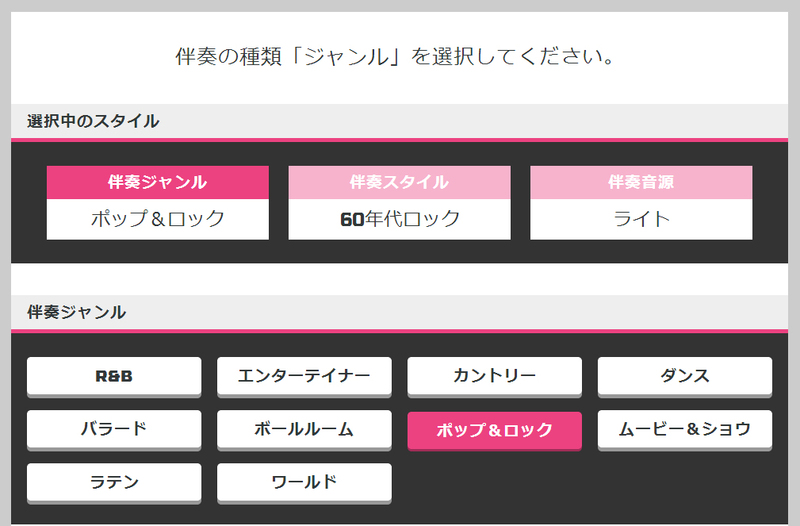 VOCALODUCER will allow a user to create a song simply by entering lyrics and selecting a melody and singer. An advanced mode will allow selecting of musical genre, accompaniment style, and chord progressions, etc. VOCALOSTORAGE, meanwhile, will allow enabled applications to directly save and load files via the cloud. Basic membership will be free, but it is limited to 500MB of storage and the basic version of VOCALODUCER, whereas the 500 JPY per month premium membership plan will come with 5GB of storage and access to VOCALODUCER feature updates. A teaser webpage is currently up with a short promotional video as well as a countdown to the start of Chokaigi, where Yamaha will be demonstrating the service at the VOCALOID NET booth. 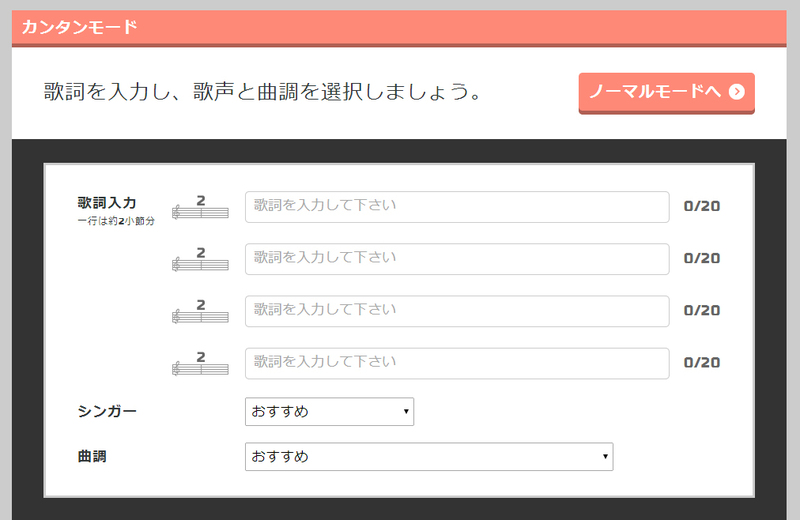 In VOCALODUCER’s simple mode, users can create a song simply by inputting lyrics, choosing a singer and melody. In normal mode, the user is able to make finer adjustments to the accompaniment, such as selecting the genre and style. Here, the user has selected light accompaniment in the style of 60’s rock. This is what the VOCALOID NET interface is expected to look like, with what appears to be four main features — automatic song generation using VOCALODUCER, cloud storage using VOCALOSTORAGE, integration with existing VOCALOID software and the addition of newer features based on user feedback. I’m looking forward to this! That demo song is very nice, and she’s using a phone which might be hinting at the ability to use it with a phone? Well, we already have iVOCALOID, but it is rather limited. Although, it would be nice to have a cloud storage for our VOCALOID work, and 500 Yen for premium membership isn’t that much, that’s only 5 US dollars!